This book is now out of print but you can purchase an e-book version of it here. 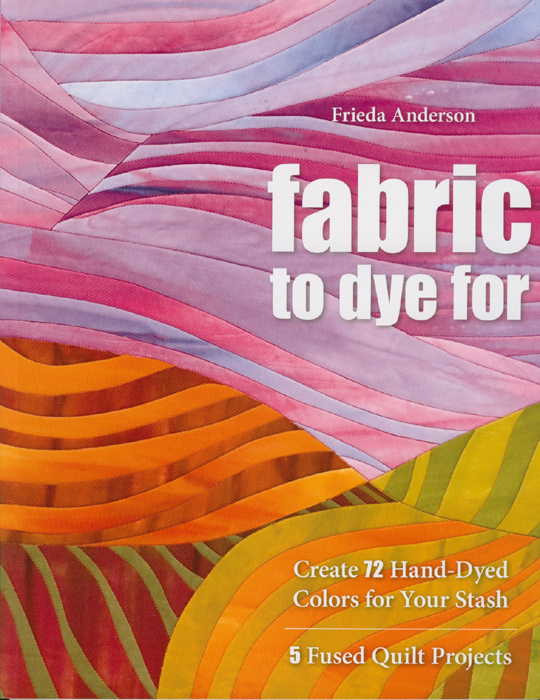 Tired of going to the fabric store only to discover the colors you need aren’t in stock? Now you can make your own colors! 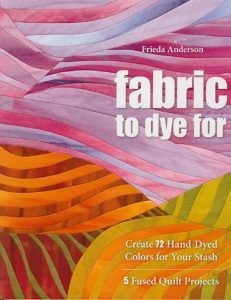 5 fusible projects to make from your dyed fabrics. 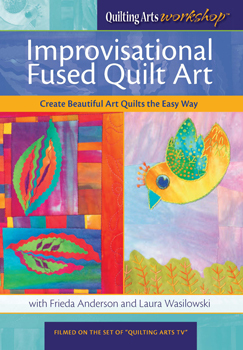 Learn to make improvisational fused art quilts from this fun DVD. 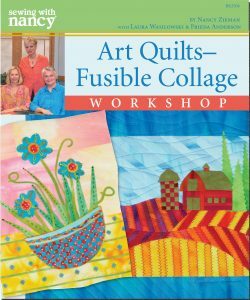 Laura and I walk you through the process of strip piecing, collage building and using decorative blades for fun effects. You will be making fun fused art in no time. 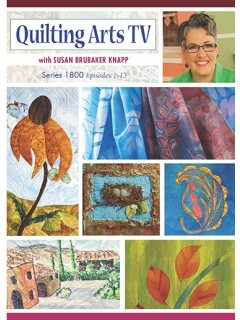 You can order this at Quilting Arts on this page. Art Quilts – Fusible Collage has all the different techniques that Laura and I use to fuse our award winning quilts. Each page is laminated for easy use and the book has pockets in the front to hold all your samples. This book is also out of print. 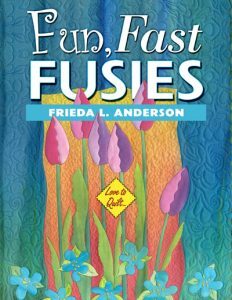 There are 11 projects in Frieda Anderson’s new book, Fun, Fast, Fusies. Projects range from easy vegetable quilts to the more complex flower quilts. 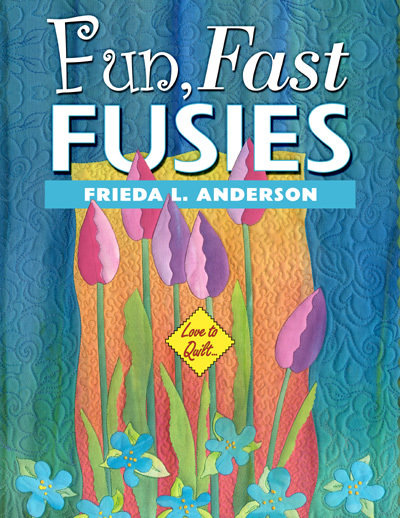 Frieda’s easy directions and finishing tips will delight quilters.